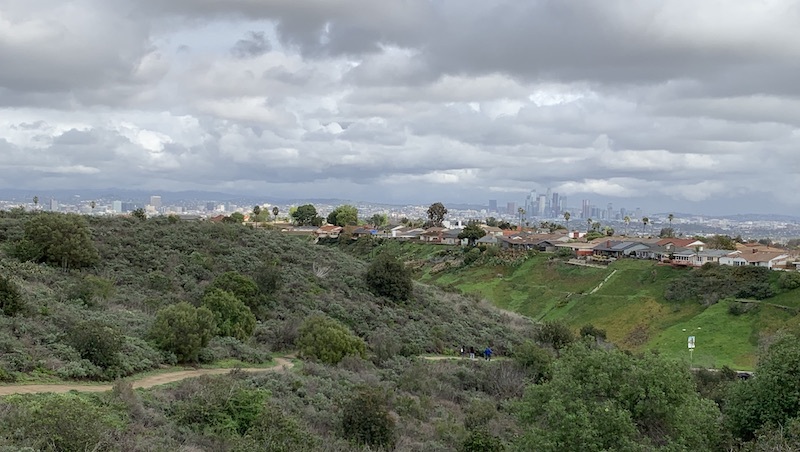 View of Kenneth Hahn State Recreation Area on a rainy Los Angeles day. Photo by Brian Champlin / We Like L.A. This week, from Monday, February 4 to Friday, February 8, features the Pan American Film Festival, lunar new year celebrations, a new David Hockney exhibit, a reggae festival, turtle racing, and MUCH more. 1. The Aero Theatre will screen Julian Schnabel’s At Eternity’s Gate a film about Vincent van Gogh portrayed by Willem Dafoe. There will be a discussion following the screening with Willem Dafoe, moderated by Jim Hemphill. 4. New Beverly Cinema Monday Matinees presents the 1996 film Set it Off. 5. Head down to Scum and Villainy Cantina this Monday in Hollywood for a Kawaii themed game night. 6. Severance Wine Bar wants to celebrate your single status during their BREAKUP BAR POPUP. Taking place next door to the bar, the two week long party will transport guest into an anti-Valentine’s Day world with break up appropriate movie screenings, a Wall of Broken Relationships, loads of champagne, cocktails and food. Running Tuesday through Saturday till February 14. 8. LACMA will screen the 1969 film Easy Rider directed by Dennis Hopper starting Hopper, Peter Fonda and Jack Nicholson about two Harley riders embarking on a cross-country search for spiritual truth. 9. 260LA will host a Diane von Furstenberg sample sale from February 5-10 in their Beverly Hills location. 10. There’s a Golden Girls Trivia Night happening at Hamburger Mary’s in West Hollywood this Tuesday. 11.Watch Doctor Who with your fellow Whovians this Tuesday night at Fox & Hounds. They’ll be showing the Eleventh Doctor two part episode “The Time of Angels/Flesh and Stone” on every TV as well as two big projectors inside and outside the bar. Drink special password is “TARDIS” and gets you $4 draft beer and $1 off wine and well drinks. 13. Humphry Slocombe hosts an Ice Cream Happy Hour every Wednesday from 2-6 p.m. where Angelenos can get a free scoop after the purchase of a single scoop. View the February flavors here. 14. Angel City Brewery and Non Toxic Revolution will be teaching Angelenos how to make aromatherapy rollers from organic essential oils, flowers, and herbs. The class cost $15 and guests will take home two customized roll-on scents. 15. The Edison presents an Evening of Latin Jazz with guest band La Verdad. Dance instructor Charlene Rose will give free salsa lesson at 8 p.m. and the band plays at 9 p.m. There’s a $5 cover at the door. 17. Stop by Salazar every first and third Wednesday from November to February for a Mezcal Tasting Series with select mezcal brands. You’ll hear the history and culture of each brand and taste different expressions paired with snacks. 18. The Continental Club hosts cocktail classes every Wednesday where you can learn bar basics, techniques and a little history on classic and contemporary cocktails. The class will be followed by a spirits tasting. 19. It’s Trivia Night at Grand Central Market starting at 8 p.m over on the Broadway side of the market. 20. Join New York Times food editor and former culture editor Sam Sifton along with co-chief film critic Manohla Dargis and NYT California restaurant critic Tejal Rao for Stars of Screen and Cuisine, a discussion on their best approaches towards criticism. Happening at The Masonic Lodge at Hollywood Forever. 21. The Pan African Film Festival (PAFF) returns to Los Angeles February 7-18. Now in its 27th year, the 12-day festival is the largest black film festival in America. 23. Every first and third Thursday of the month Brennan’s in Marina Del Rey hosts their famous turtle races. Since 1974, this tradition brings these little speedsters out of their sanctuary (located in the bar) for an exciting game that support charities. Race starts at 9 p.m.
24. It’s Seinfeld Trivia night at Indie Brewing Company with special guest Fred Stoller who wrote for the groundbreaking show. 27. One Love Cali Reggae Festival returns to the Queen Mary Events Park in Long Beach on February 8 – 10 for its fourth annual music fest with performances by Rebelution, Pepper, Slightly Stoopid and more. 29. Saved By The Max, the Saved By The Bell Pop Up Shop Diner & Bar will transform into Malibu Sands & Zack’s Room as part of the “final semester” of the pop up expereince wrapping up in April. 30. Celebrate the Year of the Pig at Universal Studios Hollywood starting this Saturday with some of your favorite characters. Check out Po’s Village and savor Asian delights at Mr. Ping’s Noodle Shop. Meet Illumination’s Minions in traditional Chinese attire and a Mandarin-speaking Megatron from TRANSFORMERS. The Lunar New Year pop-up will run till February 18. 31. Dreamscape Immersive, the latest contender in location-based virtual reality, has opened in the Westfield Century City mall with three unique adventures that include an alien zoo, a deep ocean dive and an action packed adventure to find a powerful jewel. Open seven days a week. 32. Greenbar Distillery will open up their facility for a tour of their organic distillery. The tour allows guests to learn about the process of spirit making and taste some of Greenbar Distillery’s portfolio. Happening every Friday through Sunday of this month. REPOST FROM @eater_la… Surprise, surprise: New York City’s famous Prince Street Pizza is coming to Los Angeles. Well, for a weekend at least. The Manhattan mainstay has become pizza famous over the past several years, leading to spiteful spinoffs, Instagram obsessions, and long lines out the door of the diminutive New York City restaurant. Now ownership is taking the show on the road from February 8 to February 10 with the help coming from @offthemenu. There will be two slices available, the famous Spicy Spring with its many round pepperoni cups, and the Prince Perfection, a Sicilian slice with marinara over mozzarella and parmesan cheese. The whole party goes down on Friday, February 8 and lasts through the weekend, running from 4 p.m. to 2 a.m. on Friday, noon to 2 a.m. on Saturday, and noon to 10 p.m. on Sunday. The Off the Menu x Prince St. Pizza collab takes over Dough Pizzeria and Bar on the Sunset Strip, between the Viper Room and the Roxy. Off The Menu Club app, along with Italian beer company Peroni and New York City’s Prince Street Pizza, have partnered up to bring a slice of New York to Los Angeles from February 8-10. Score cult-classic pizza pies including the Prince PerfectionTM and the Spicy SpringTM at Dough Pizzeria and Bar located on the Sunset Strip. While open to the public, Off The Menu Club members will be granted front-of-the-line access and a free slice at all locations participating in Off The Menu’s Pizza Week. Off-menu pizzas can be found at six Los Angeles restaurants. Participating is Kettle Black, Dagwoods, LBK, Upper Crust Pizzeria, Prova’s Pizza Truck and a special surprise guest to be announced this week.